Unfortunately I have come down with a horrible cold, so this will be a very short post. 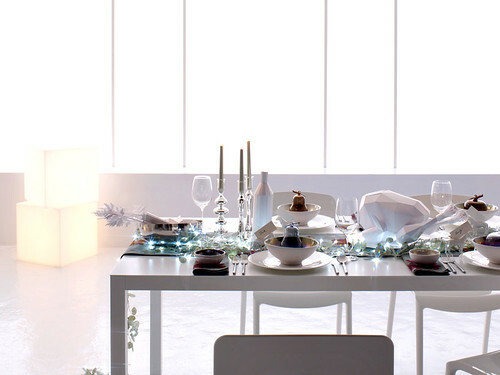 I love this modern Christmas table featured on My Deco. 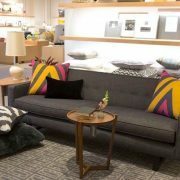 If you haven’t already, you must visit mydeco.com, a shopping site where you define your personal style, and they come up with personalized picks just for you. Find modern Christmas decor just perfect for holiday decorating. Have fun! Ok, now back to rest and lots and lots of tea to get over this cold. I hope to be back and posting tomorrow. Take care of yourself. The table setting is lovely indeed. Send Bryan to the store for Hall’s Defense drops with zinc, vitamin C, and echinacea! They will really shorten your cold! Take care! Oh No!! hope you feel better! I’m sick too and its a very bad timing !